There’s no denying that the construction of amazing architecture comes with a huge price and takes a lot of time. 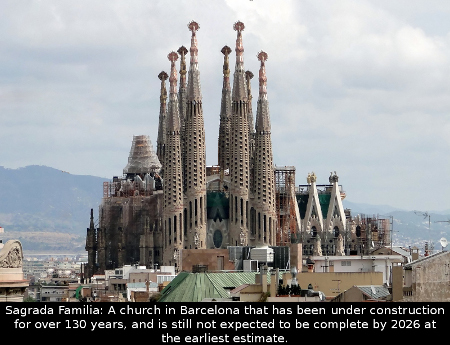 However, this church has to top the list of the longest running constructions of all times. 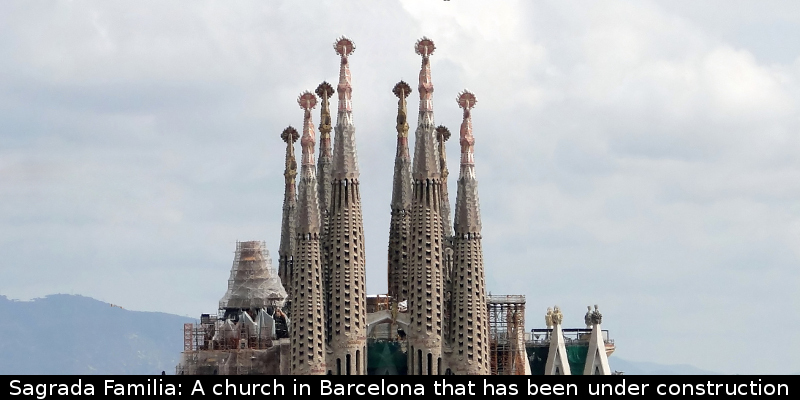 Back in 1883, a Catalan architect named Antoni Gaudi started working on “Basílica i Temple Expiatori de la Sagrada Família” – a huge basilica located in Barcelona, Spain. Even though Gaudi devoted the rest of his life to this project, the basilica, whose funding relied mostly on private donations, was never finished. Over the years the church’s construction progressed slowly and it is more than halfway to completion. However, the extraordinary combination of gothic architecture with Art Nouveau touches, along with the lack of finance, has forced workers to leave some of the most challenging parts unfinished. The basilica is expected to be finally finished by 2026, which will be the centenary of its architect’s death. The Sagrada Familia is truly one of a kind – in the entire world, there is no other building quite like it.